How to Find the Perfect Class for You? How often have you gone to a class only to feel that you couldn’t ‘do’ it, or you didn’t ‘like’ it? Many people fail to realise that whether you ‘like’ the class or whether you can ‘do’ it often is due to the class or the teacher not being the right fit for you and where you are at at the present time. It’s easy to say “I don’t like Pilates” or I don’t feel the benefit of functional exercise classes blaming it on the ‘type’ of class. And if this is the case, they will lose out of what should be an amazing experience which improves the quality of your life. A class can vary according to the qualifications, experience and passion that a teacher brings to the class. Often people choose to be a ‘Fitness Instructor’, a ‘Pilates Teacher’ or any other type of exercise instructor simply as a job where their soul purpose is to ‘get paid to workout’ and/or just pay the bills. I have so often seen an instructor walk out at the end of the class and light up a cigarette! Never be shy about asking the class instructor about his/her qualifications and always meet them prior to joining the class to see if they care about you as a person and not just as a number added to their business. At The Sale Functional Pilates Studio, I always have a Discovery Session with potential clients, to ensure that they are a good fit for my programmes and also for them to discover whether I am a right fit for them. A true fitness professional/trainer is not able to meet the needs of everyone in a safe, effective and fun manner and usually promotes their programmes to a small sector only i.e. new Mums, Older Adults, men, 80+, etc., where each group has their own individual abilities and needs. It is interesting to take a look at The Top 20 Fitness Trends for 2019 to see what is popular and this also means that people attending these classes are getting the results they want. At my functional Pilates studio in Sale, all of the classes I offer are in the Top 20 Fitness Trends for 2019. This is NOT a coincidence! As a small business owner, I am able to move with the needs of my clients. I keep up to date with ins and outs of the health, fitness and wellbeing industry and I keep my ear to the ground: I listen to what people want; I give them what they want AND need; I monitor them on a regular basis and make sure that they benefit and enjoy their time spent with me in my studio. 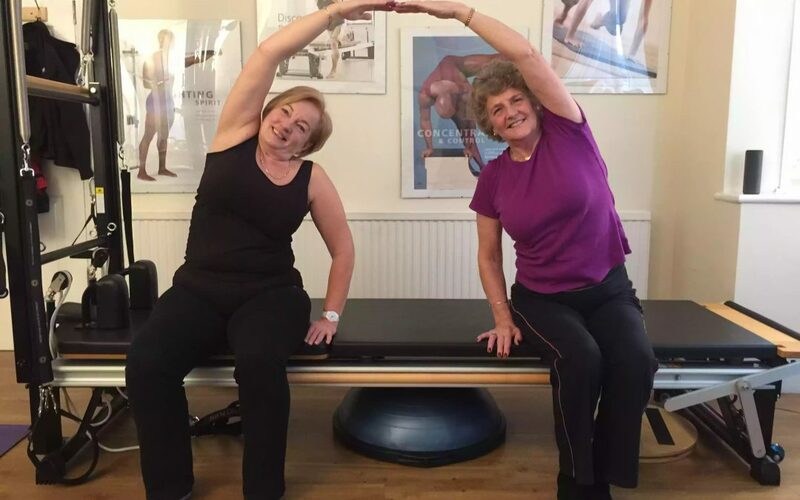 At The Sale Functional Pilates Studio I offer a variety of programmes that are currently very popular, extremely beneficial and a load of fun for Women who are 45-65+ and these classes/programmes just happen to be listed in The Top 20 Fitness Trends for 2019! This is no coincidence since I, the owner and resident Manager, have over 30 years experience in these three industries. Starting out with training as a Fitness Specialist and Group Exercise Instructor at the famous Kenneth Cooper Institute of Aerobic Research in Dallas, Texas, turning my passion for exercise to every new fitness trend that appeared from Steps, Aerobics and Body Training Systems (e.g. Body Pump) to Weight Management, Lifestyle Coaching and Aqua, Pilates and Tai Chi. Now, I extract the elements that will benefit my clients and personalise exercises to ensure that the exercises are safe, effective, functional and fun. No 4 in the top 20 Fitness Trends for 2019 is ‘Fitness Programs for Older Adults‘ and this is definitely what we are about at the Sale Functional Pilates Studio where the average age of clients is 58. Being in my 60’s myself, I know what it is like to suddenly find yourself past the middle of your life when some activities start getting a little harder and perhaps our exercise routines and diets need tweaking a bit to cater for changes – mental and physical With ageing, our priorities, attitudes, preferences and ideas change. Life is no longer a rehearsal – it’s time to know exactly who you are, what you want, what you deserve and what you need to know and do NOW in order to make the most of those precious years remaining. When you are younger – even through our 50’s – it feels that life will go on for ever yet somehow, after we turn 60 we suddenly become very much aware of just how fleeting life really is! Personal Training comes in at No 8 and will always be the gold standard of getting the best results possible…..although perhaps not always as much fun as Small Group Training which continues to be in the top 20 trends for this year. PT offers clients not just the extra element of personal coaching but also greater flexibility of timings and choice of day and therefore ideal for the busy professional woman trying to fit everything in to a tight and busy schedule or those who want and/or need greater accountability and supervision. Small Group Training is the most popular type of training that we offer at The Sale Functional Pilates Studio as it gives almost as good results as Personal Training but at 1/3 of the cost. With a maximum of just 4 women in a class this training modality offers plenty of instructor to student teaching and interaction, as well as support and camaraderie from fellow members. Outdoor Activity is a growing fitness trend coming in at No 17, where exercising – or just being – in nature and out in the fresh air is recognised as having a very beneficial effect on stress levels, depression, confidence and brain health…in addition to all the fitness and weight loss benefits. In conjunction with The Sale Functional Pilates Studio I run SW Manchester Nordic Walking which comprises, Nordic WalkingTaster sessions, courses and regular walks at various levels and on different times and days. Nordic Walking, using special Nordic Walking poles, enables you to get a whole body workout. By activating the muscles of the upper body, this functional activity results in greater strength gains, a greater increase in general fitness and also greater calorie burning! (That means faster weight (fat) loss than regular walking!). If you would like more information about Nordic Walking visit my website: www.swmanchesternordicwalking.co.uk, call me on 07598 12918 or fill in a Contact Form here. Another type of class – which comes in at No 20 on the Top Fitness Trends for 2019 – is Post-Rehabilitation Classes. These classes are a must once you have been signed off by the Physiotherapist for whatever biomechanical issue you have been undergoing. So often the Physio sends you home with a list of exercises you need to do in order to make full – or the best possible – recovery and you do not remember exactly how to do them. Exercises done incorrectly are better not done at all! I am qualified in back pain and have experience treating clients who have had a hip or knee replacement. I also have first hand experience of broken bones! I broke my right arm whilst snowboarding in 2014 and my left leg/ankle in 2016 whilst trekking the Tour de Mont Blanc! Sometimes we suffer acute injury (as happened in my case) but most often biomechanical issues in the body are due to chronic injury. That means that they happen overtime usually through bad biomechanical movement, imbalances caused by sports, poor exercise technique, poor posture or bad movement lifestyle habits. We can avoid chronic biomechanical injury by preventative exercises i.e. keeping ourselves strong and flexible on a regular basis. Don’t wait until something goes wrong! Do specific exercises TODAY to prevent what may happen you tomorrow! Finally, do make sure that your prospective instructor/trainer/teacher is a good roll model and that they practise what they preach! At The Sale Functional Pilates Studio, I not only draw upon my studies and client experience, but also upon my own real life experience. 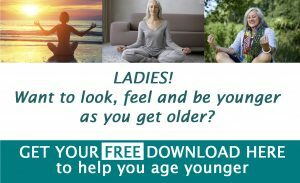 I have always looked at ways to get the most out of my life – aka my body – and as a woman in her 60’s myself, I am very much aware of what can go wrong. As a consequence, I gear half of my own training on prevention and the the other half on performance. I give my training sessions priority in my life as I know that I cannot help others if I first don’t help myself! If you are between the ages of 45 and 65+ why not get in touch? I cannot let you join a class until you have first undergone a 75 minute 1:1 Personal Consultation but you are welcome to sign up for one of my FREE Discovery sessions TODAY and, if there is room, observe a class. CALL me today on 07598 129189, FILL in a Contact Form online, BOOK a Discovery Session or EMAIL me at anita@anitadawnwellbeing.com to take an important step towards making the best of the rest of your life!